Welcome to the Edinburgh Third Sector Partnership webpage. Here you can find out about our partnership, who we are and how, by working together, we are able to provide you with fully integrated support and help. Our partnership starts from the principle that as the established experts in our respective fields, when we work together we are able to better support you - whether you are a volunteer, a voluntary organisation or a social enterprise. After all, without volunteers there is no voluntary sector, many social enterprises use volunteers and many voluntary organisations have social enterprise functions or aspirations. We all connect together. EVOC’s mission is to support the Voluntary Sector to build and enable resilient, sustainable and inclusive communities. Our vision is of a valued and respected Voluntary Sector, in which EVOC serves as a trusted leader, effective strategic partner and model of good practice for the Sector. We help to support, develop and promote the interests and work of voluntary and community organisations in Edinburgh. We inspire more people to volunteer so they can enhance their lives, the lives of others and build resilient communities. Everyone has the right to offer their time to volunteer and we seek to inspire and enable them to do so. Volunteering is always a matter of free choice. What difference does the Third Sector Interface make? You can view our Memorandum of Understanding and Governance Protocol here. You can view our TSI Network Contacts here. You can have a look at our partnership work plan for 2016/17 here. 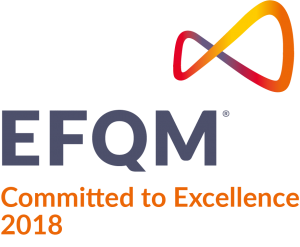 The Edinburgh TSI has been awarded Committed to Excellence by the European Framework for Quality Management (EFQM). Copyright © 2019 Edinburgh TSI, all rights reserved. Site maintained by Volunteer Edinburgh on behalf of Edinburgh TSI..